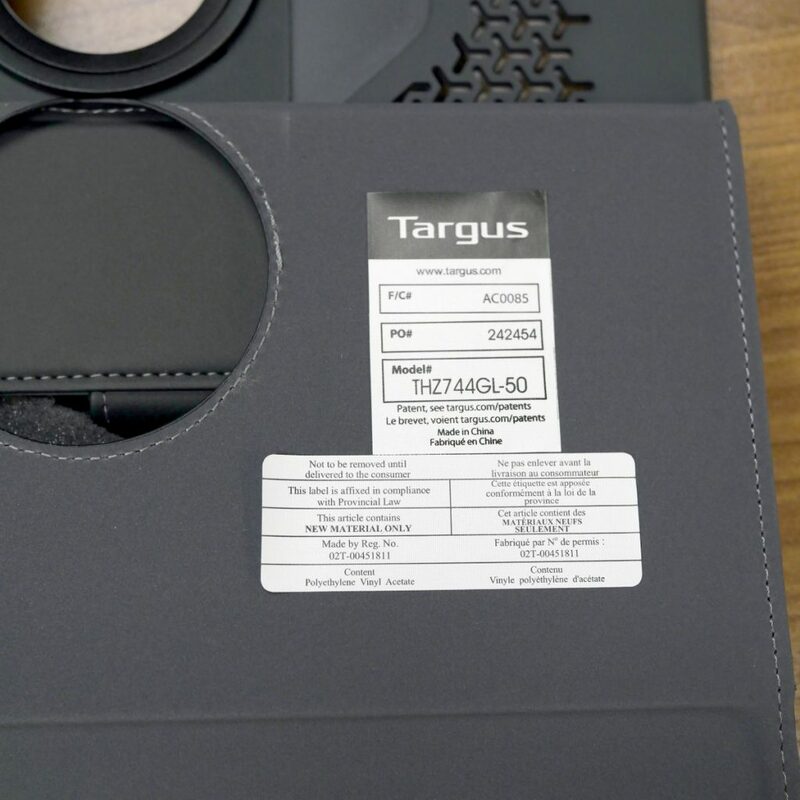 I recently purchased the Targus VersaVu iPad case for my iPad Pro 11-in tablet. 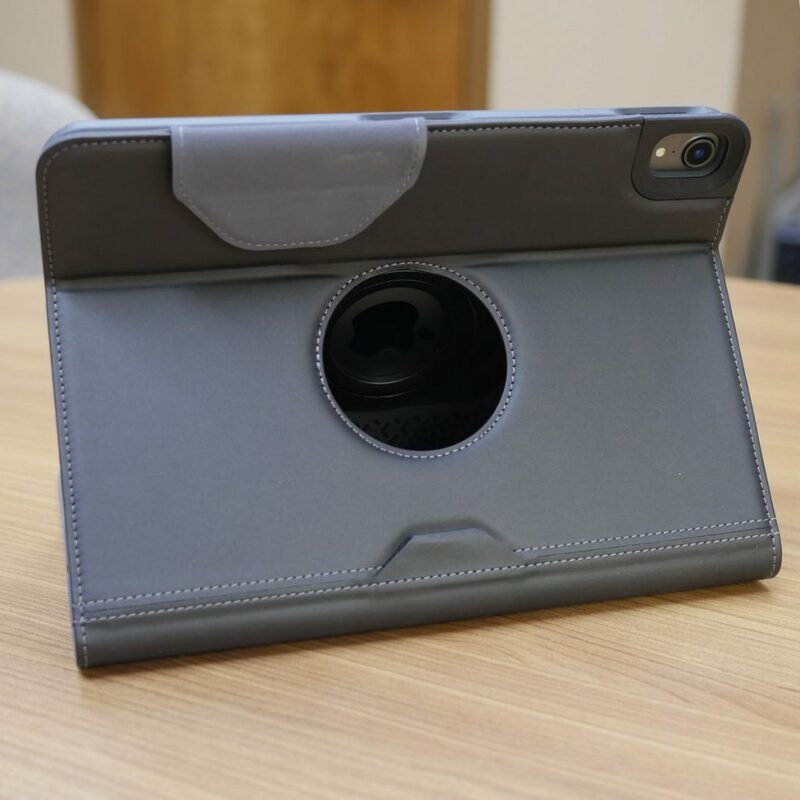 Here is my review and some closeup photos of the case for those of you in the market for an iPad Pro 11 inch case. 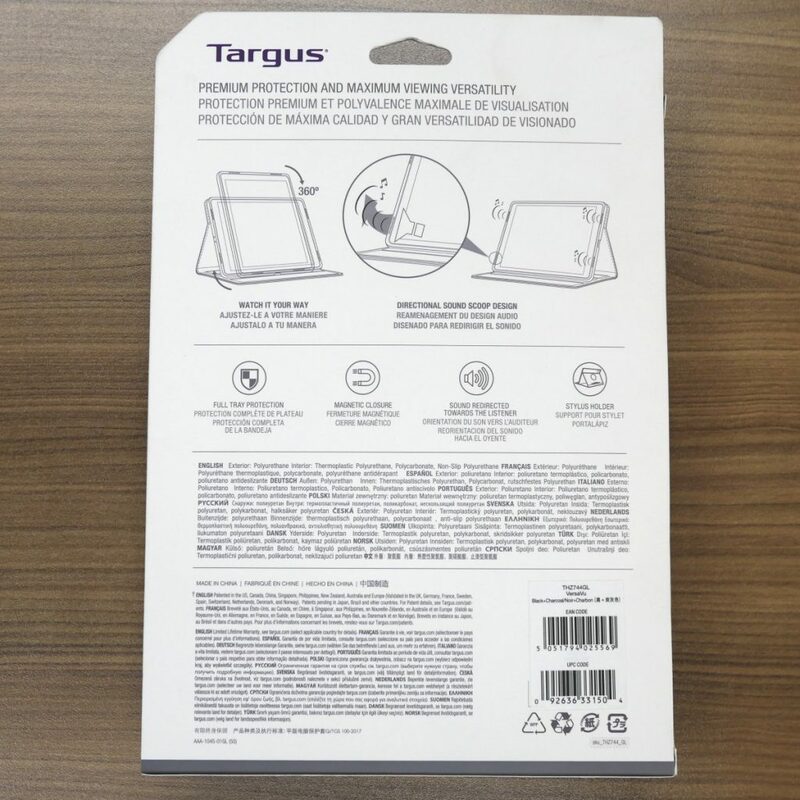 You can purchase the Targus VersaVu case from Amazon. 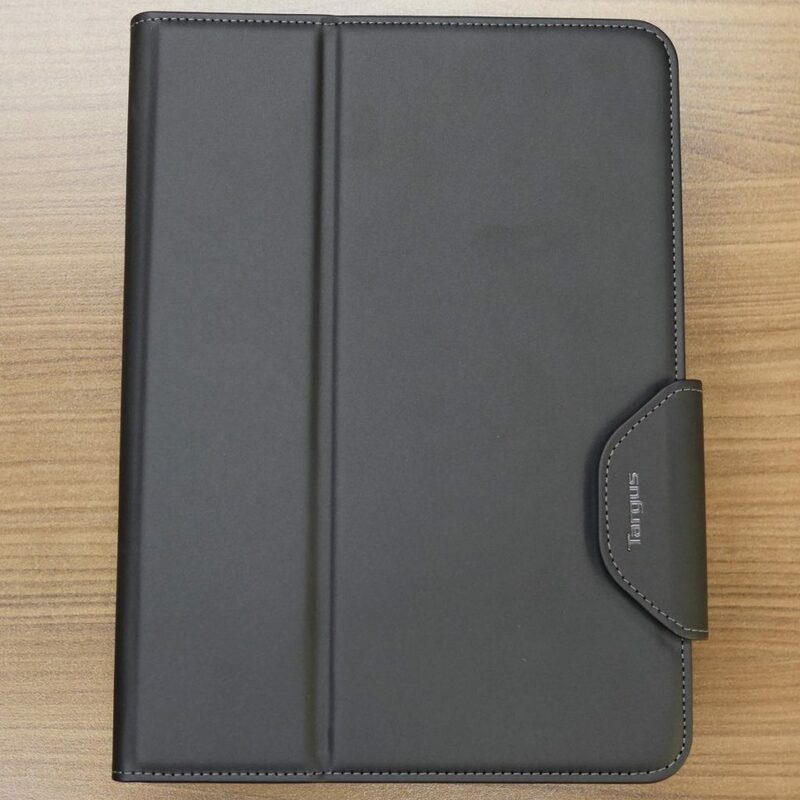 My previous case was the Speck Balance Folio which is also a really great case. 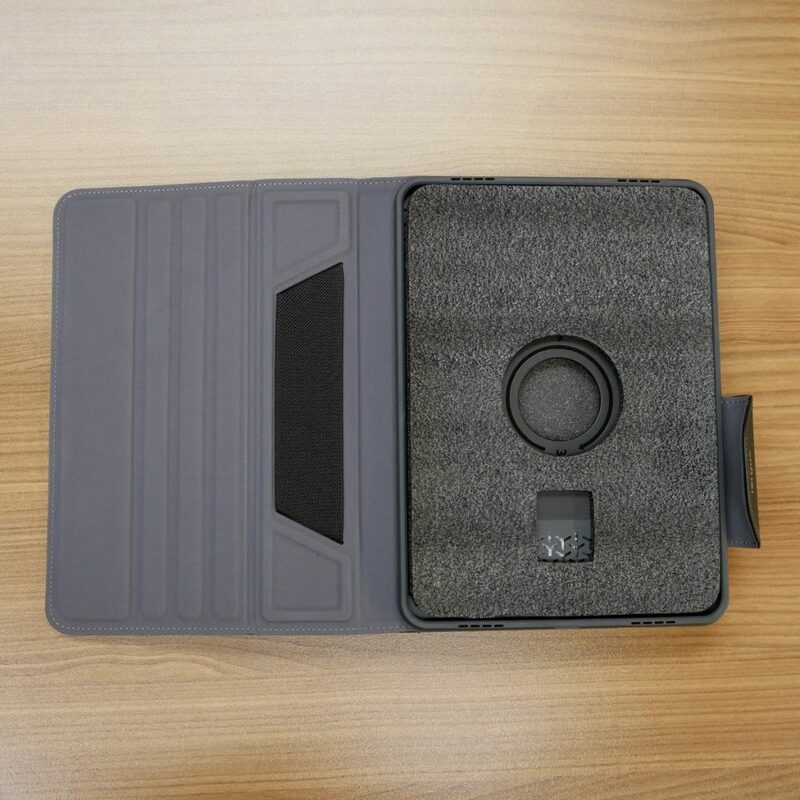 One unique feature to this case is the ability to rotate the iPad into a portrait orientation (see above photo labeled “Vertical Standing”). 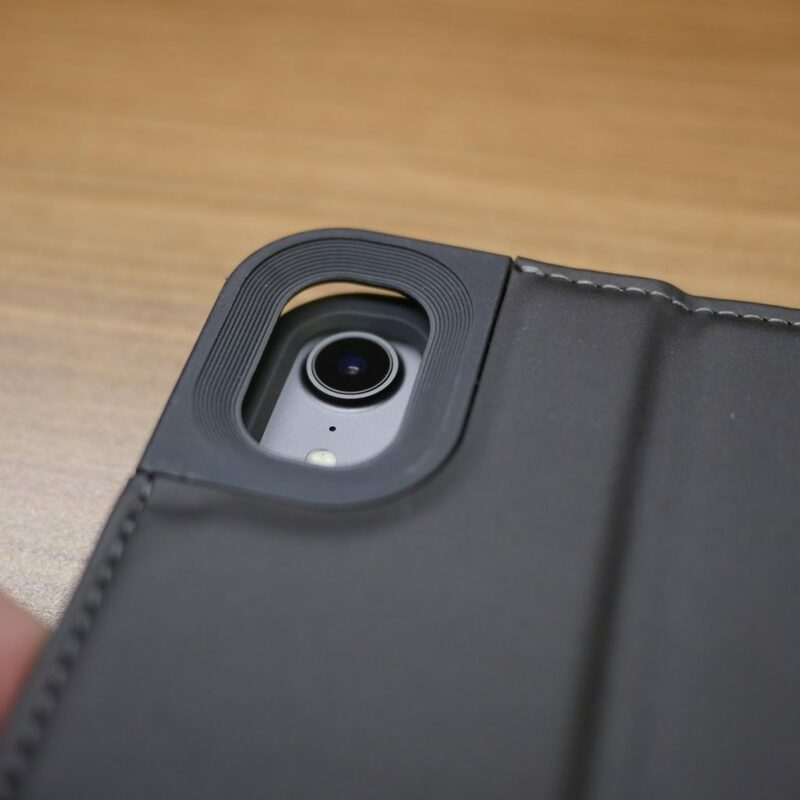 I thought that this would be useful but I have not used this feature once since I got the case. 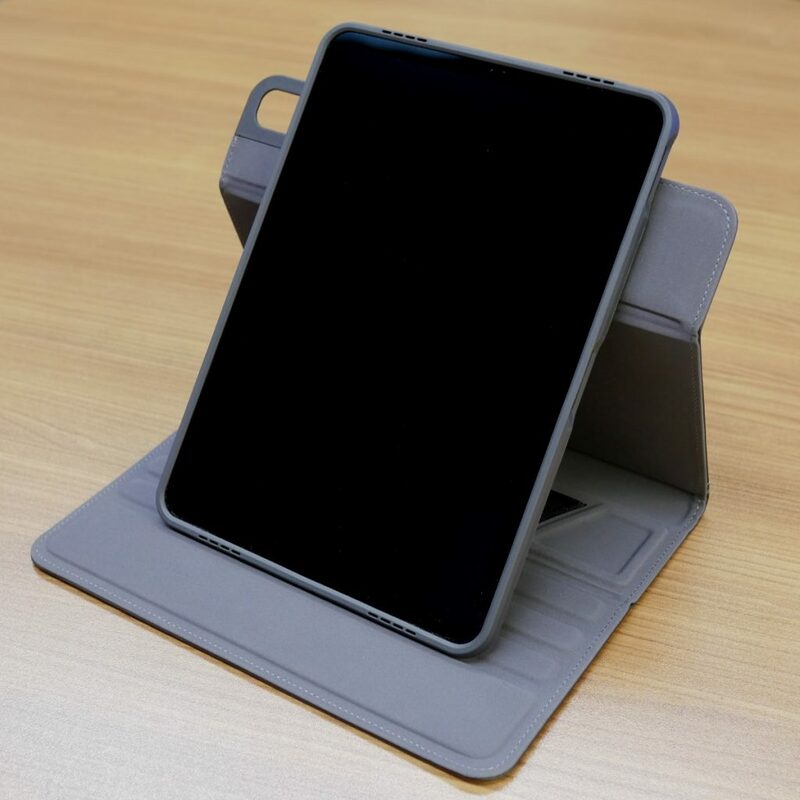 One additional standing option for this case (not pictured here) is a low angle standing position that can be accomplished by folding the flap under the iPad. 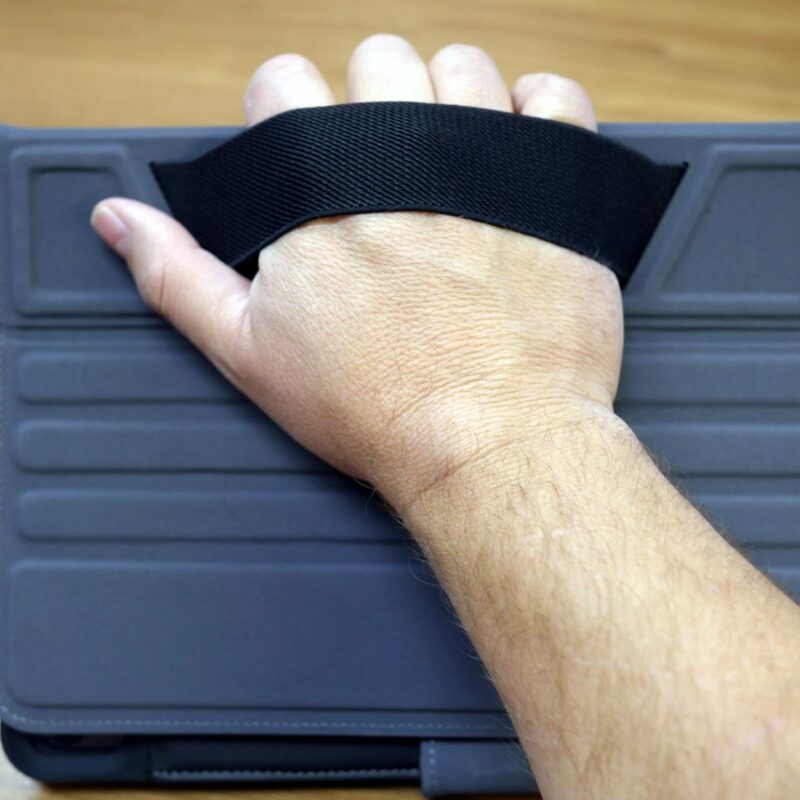 I have used the iPad in this way quite a bite. 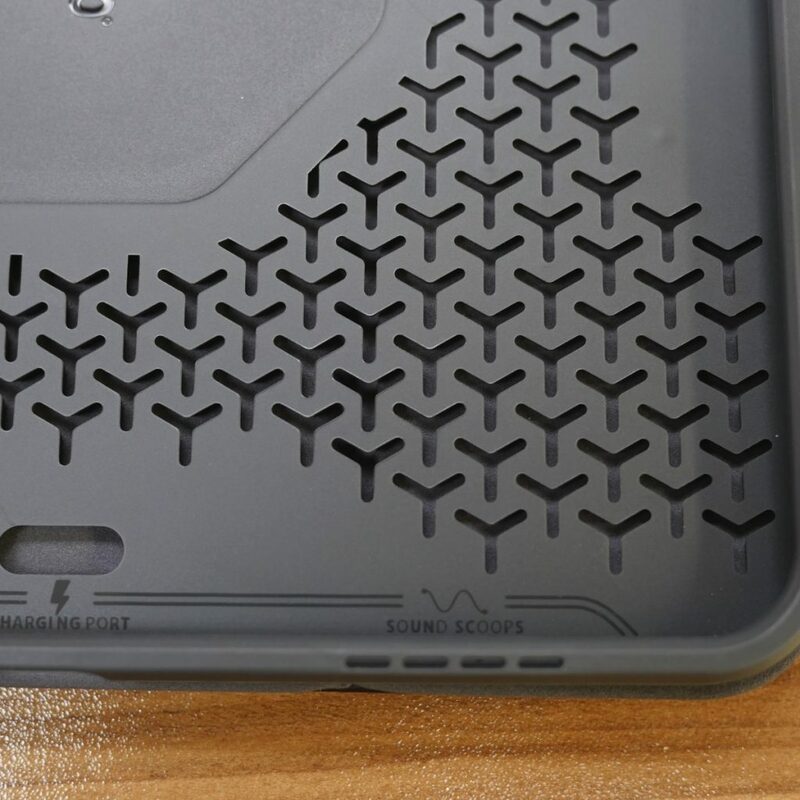 I’ve been using this case for about a month now and overall I am happy with the protection and performance of the case. 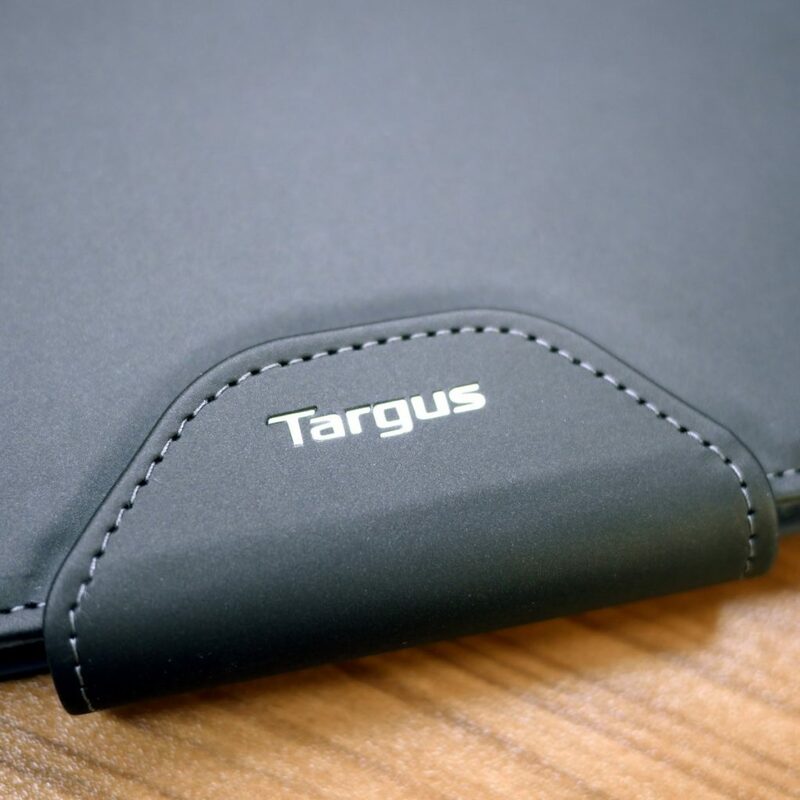 The outer surface of the case feels more like plastic than leather but the corners are well protected and offers some padding for drops and dings. 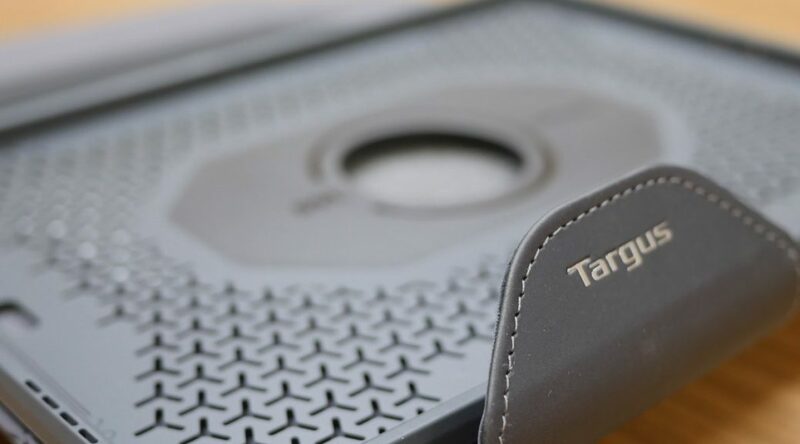 I had some reservations about the curl I first saw in the camera opening but this has not gotten worse and has not affected taking photos in any way. 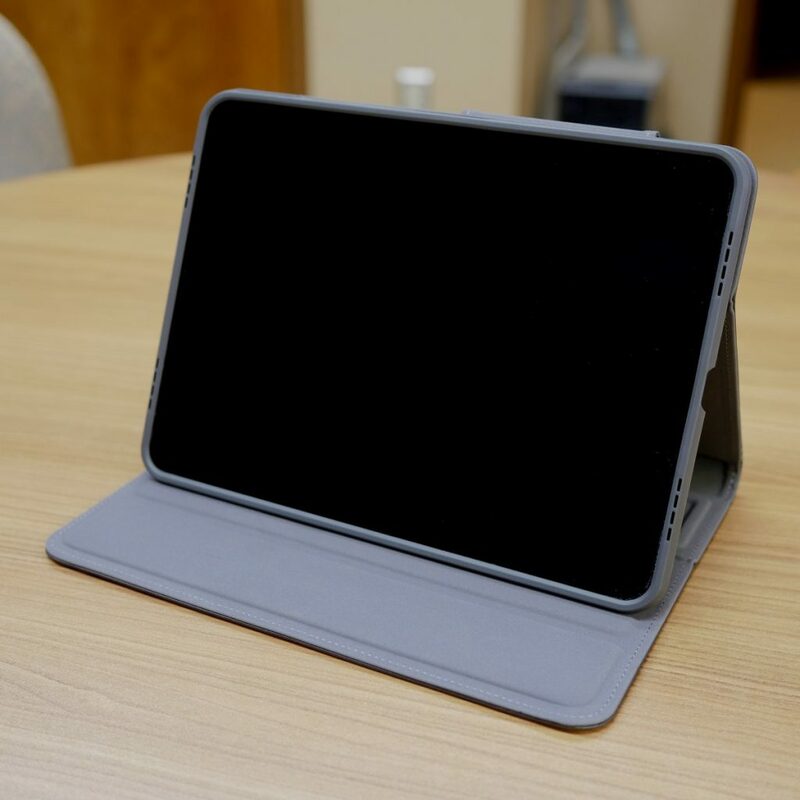 The audio quality of the new iPad Pro 11″ is exceptional and the case’s sounds scoops do a great job channeling the audio towards the viewer. 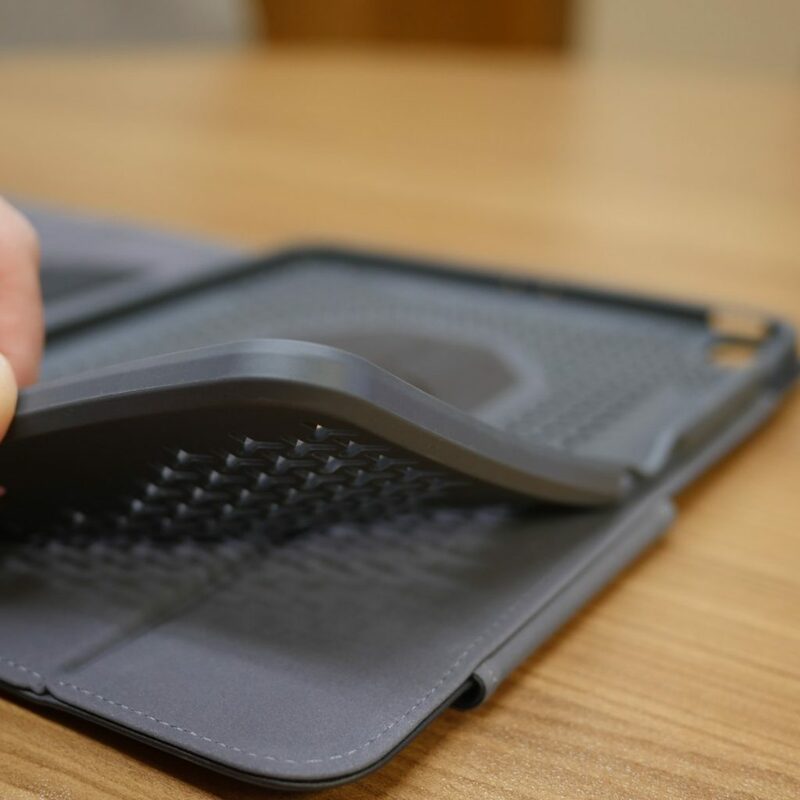 I do not own an Apple pencil but the case’s latch will hold the pencil in place over the magnetic pencil charging area. 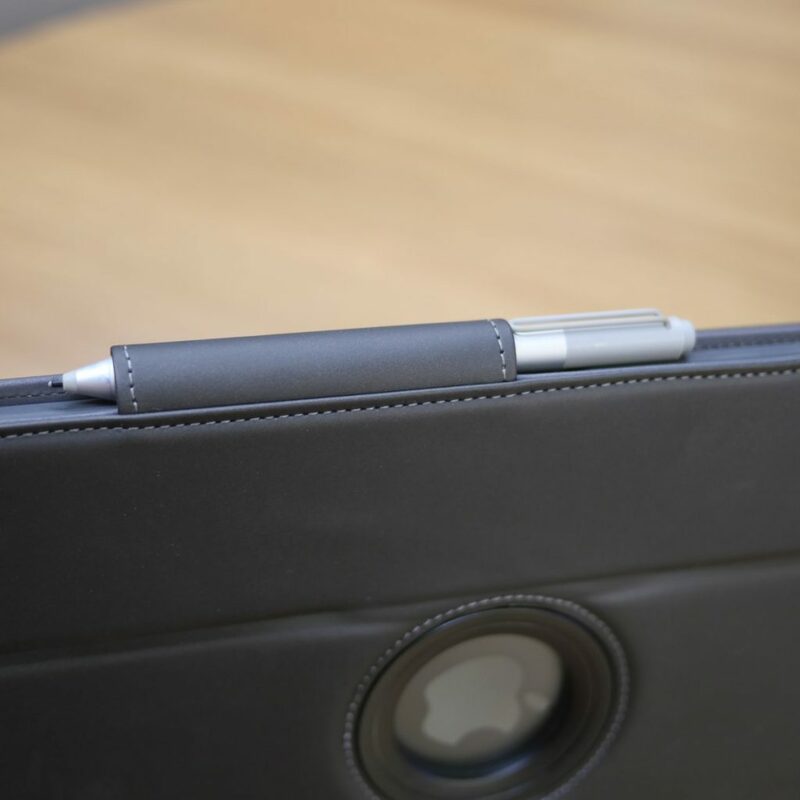 The photo above shows a Surface Pro pen in the position the Apple pencil would ride. 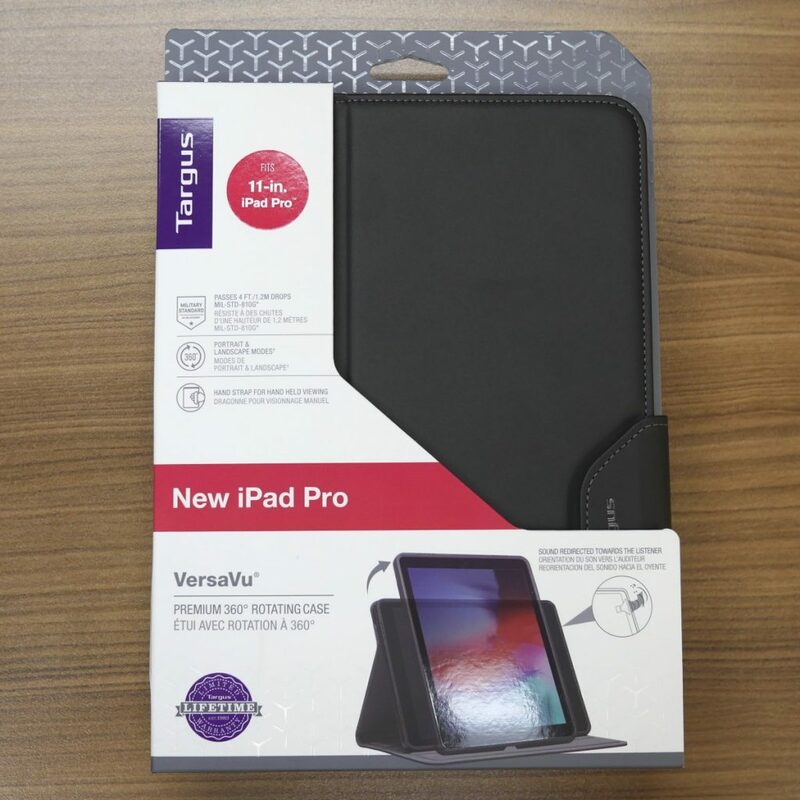 The VersaVu family of iPad cases is available for several iPad models including the 12.9 iPad Pro. 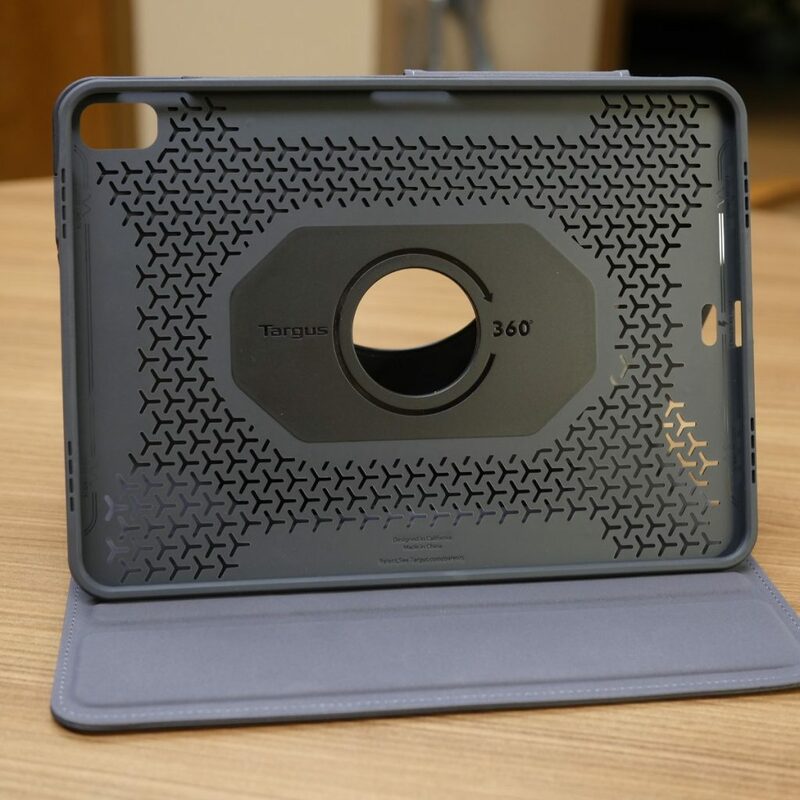 Here is a list the case sku numbers and color options that will fit your iPad. 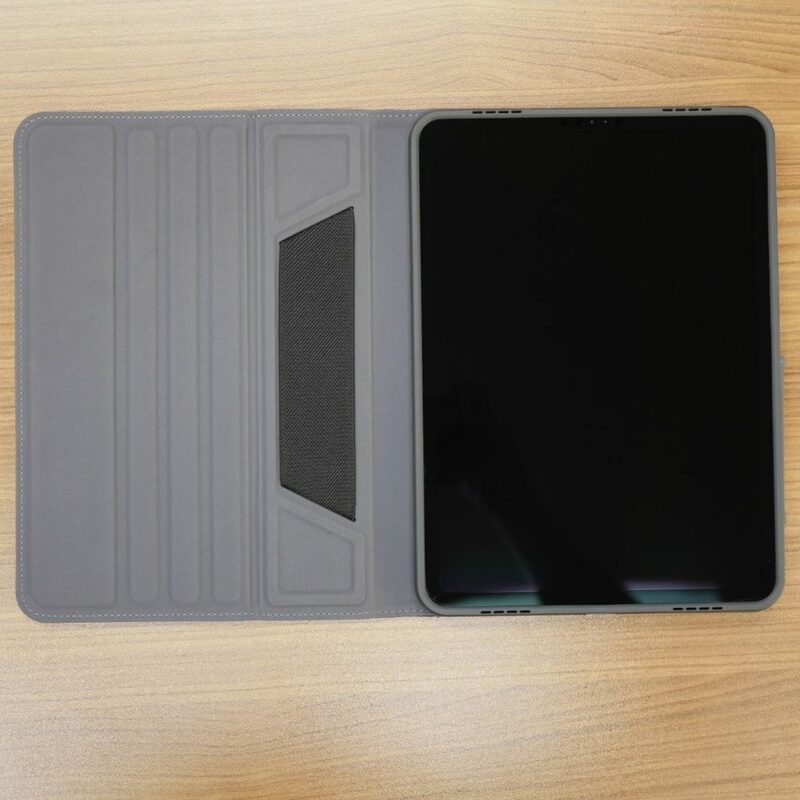 Overall, I am happy with this choice of iPad case and feel like the VersaVu case should be considered when comparing all available iPad cases on the market. 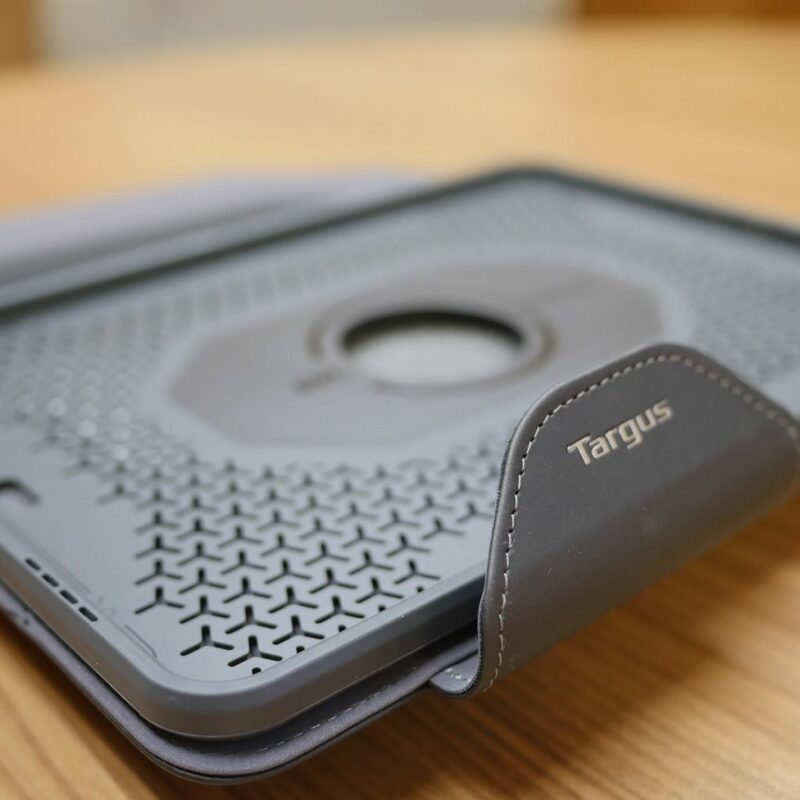 If you have found this VersaVu iPad case review useful please consider using the Amazon affiliate link below to purchase the case. 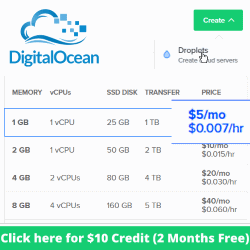 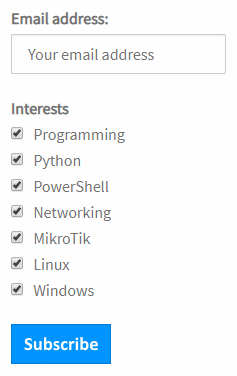 By doing so your will be supporting this website as I am paid a small commission from Amazon.